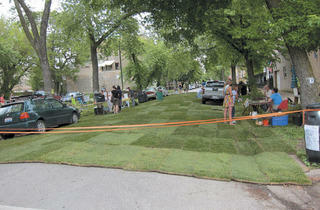 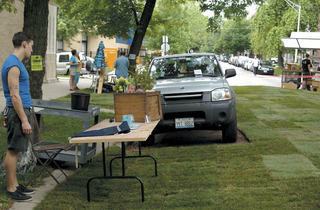 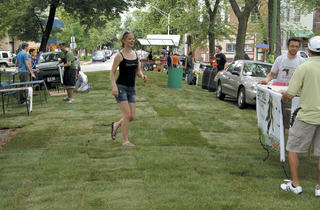 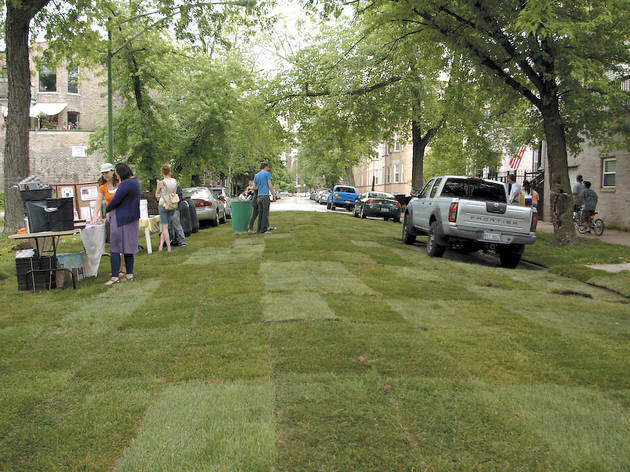 Noisivelvet’s Joe Baldwin transforms Logan Square blacktop into green space. 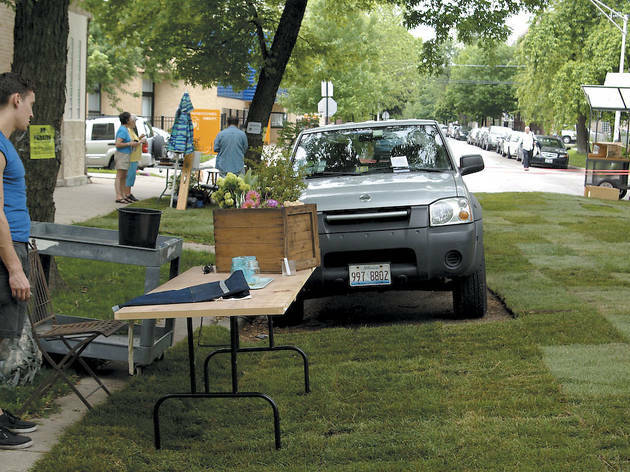 The list of transient urban delights—pop-up shops, restaurants and galleries—just got a little longer. 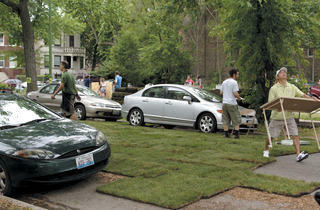 Earlier this month, at an event dubbed Art Through Gardening, Joe Baldwin helmed the creation of a pop-up park. 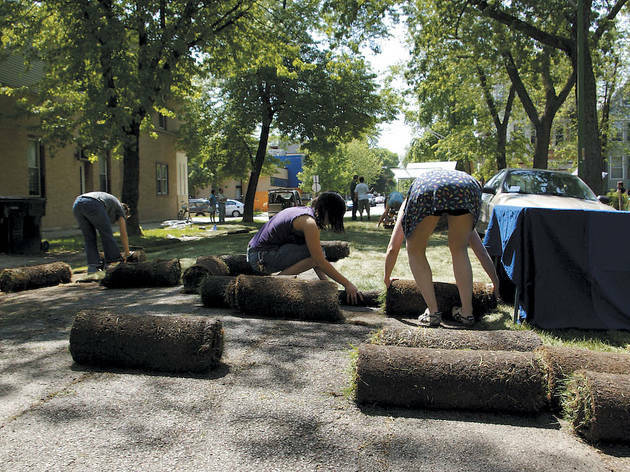 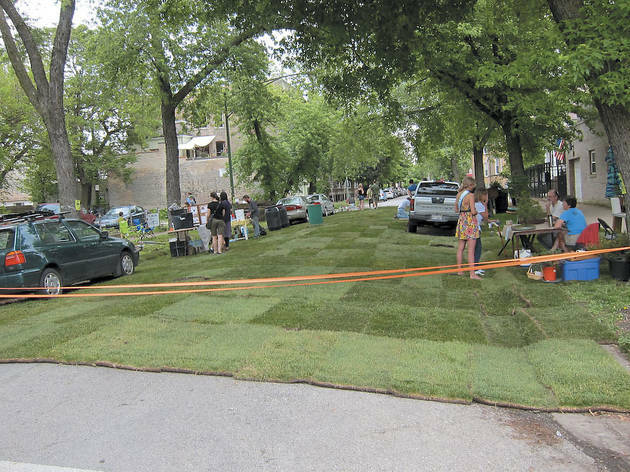 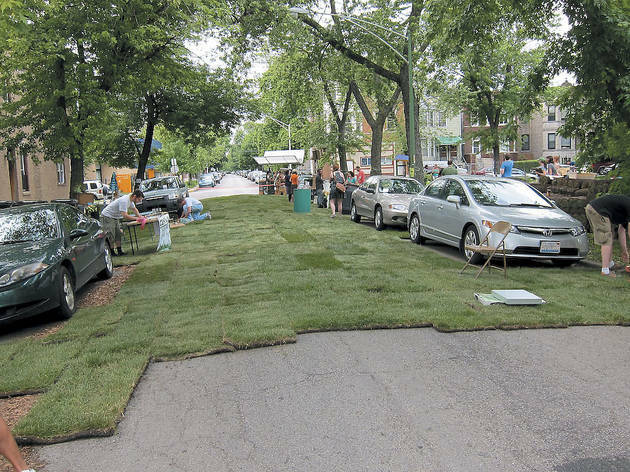 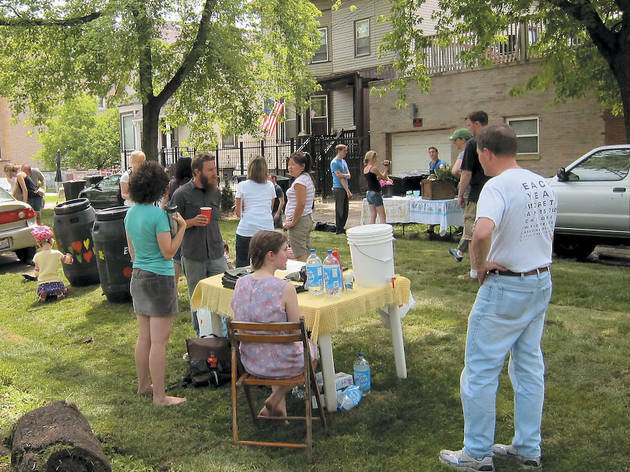 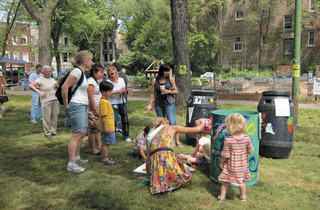 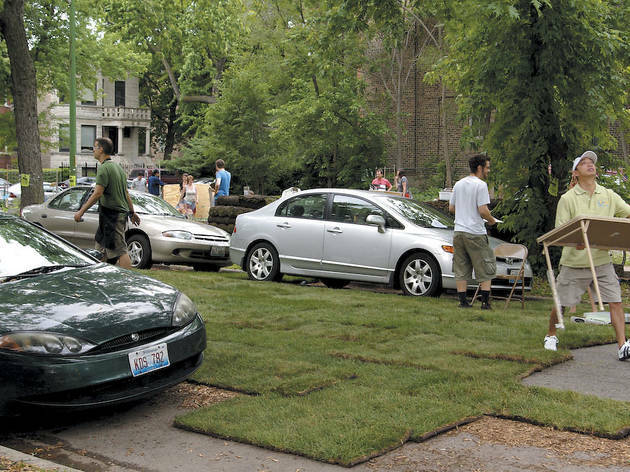 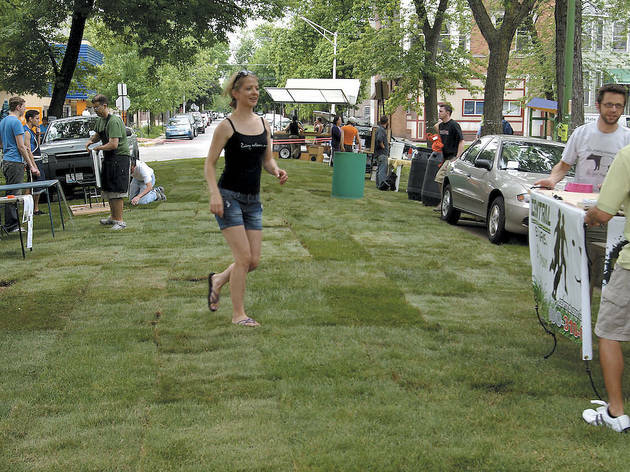 The founder of the arts advocate org Noisivelvet (noisivelvet.com)—in conjunction with the Altgeld Sawyer Corner Farm—turned nearly an entire Logan Square street block into a grassy public play area for four hours. 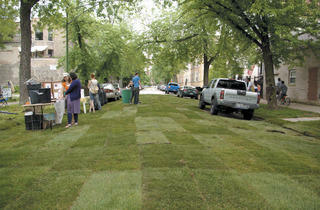 Last week, Baldwin guided us through the process of transforming blacktop into green space. 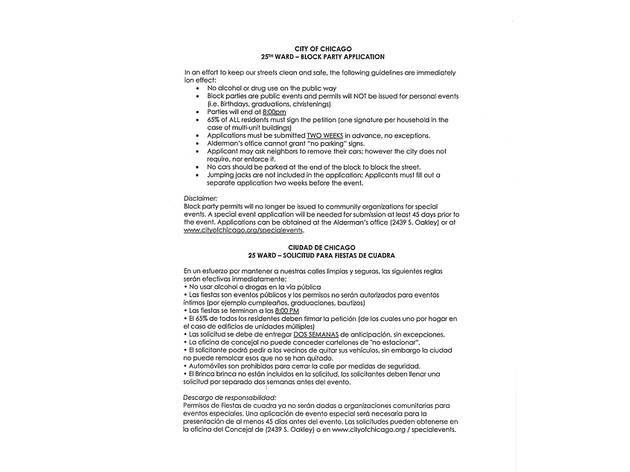 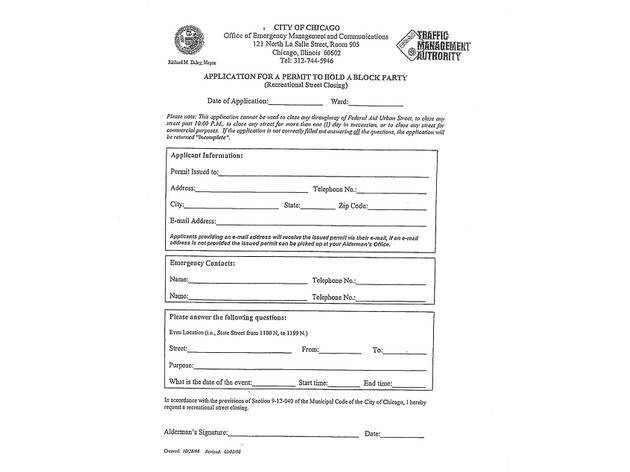 To lawfully take over a Chicago street, you need a Block Party Permit, which can be downloaded from your alderman’s office website. 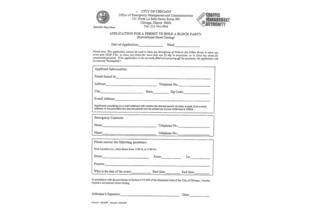 To gauge public sentiment about the proposed event, you must also get a minimum of 65 percent of the block to sign a petition. 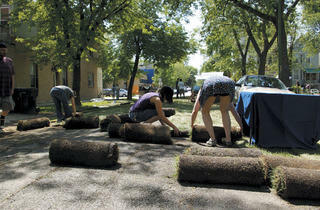 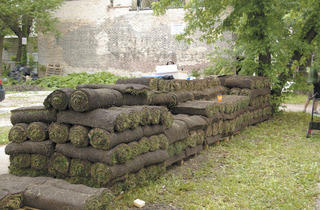 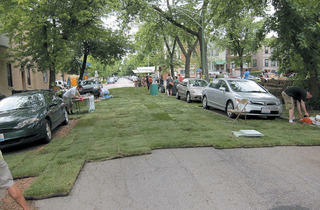 Baldwin was able to persuade Central Sod Farms (5816 W Ogden Ave, Cicero, 708-780-3009) to donate the necessary turf. 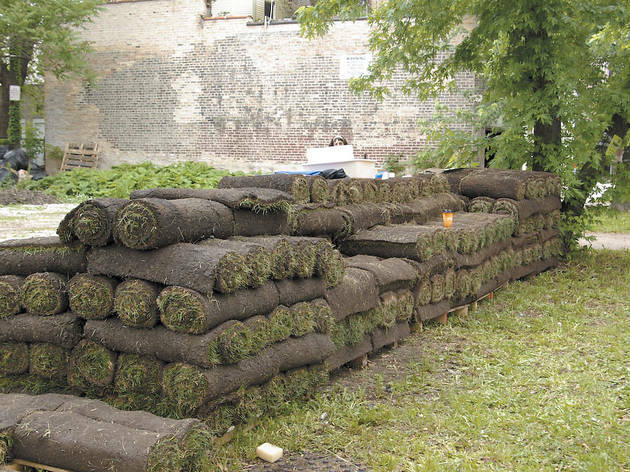 The night before the event, the company dropped off several pallets full of turf squares—around 6,000 square feet. 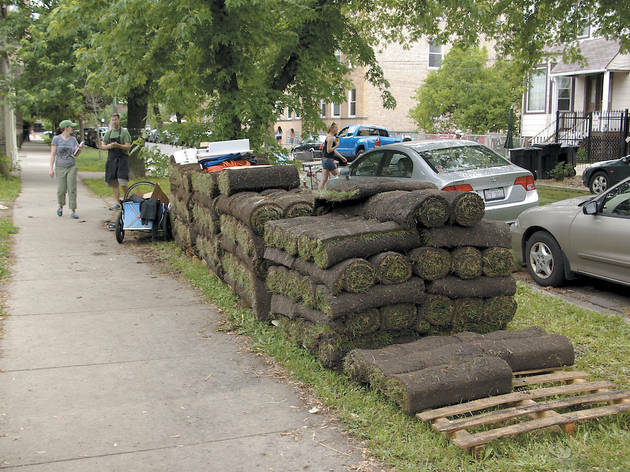 “We used maybe half of that,” Baldwin says. 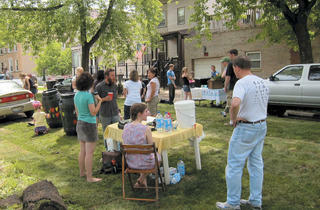 By law, block parties have to be accessible to everyone, so be sure to get the community involved. 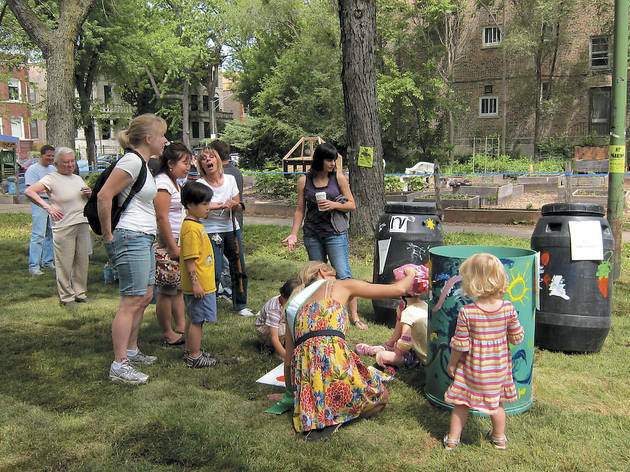 At Art Through Gardening, Chicago Rarities Orchard Project offered tastes of a flower-blossom soda, renewable-energy org SolAir discussed solar power, Urban Worm Girl spoke about composting, and Midwest Bonsai Association and Fleur flower shop gave demonstrations. 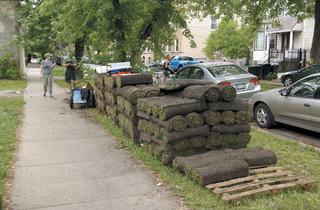 Artist Aaron Straus assembled a sculpture made of organic materials that will decay into the Corner Farm garden throughout the summer.